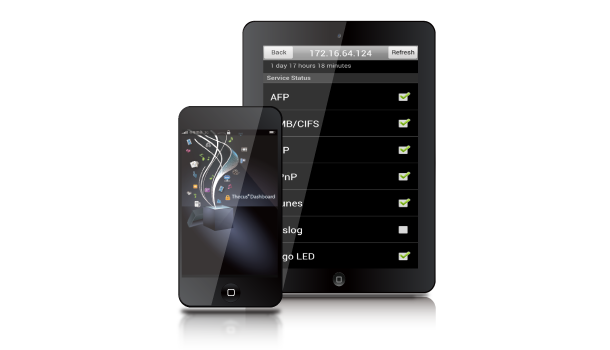 T-Dashboard is a robust monitoring application for Thecus NAS devices. 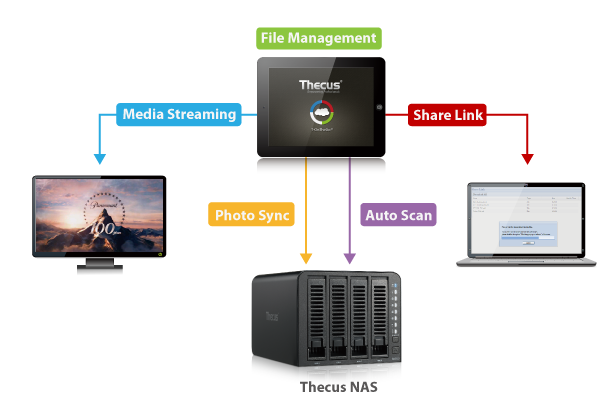 Once downloaded from the Apple App Store or Android Play Store, users can easily log into their Thecus NAS using their smartphone. Once logged in, users have access to an array of device and service status information, such as firmware version, uptime, CPU load, and even fan status. Enable easy access to your NAS with Dynamic DNS. DDNS allows users to allocate and access their NAS files via the internet remotely, and since IP digits are often difficult to remember, domain names are utilized to make NAS management much more convenient. When the IP address is changed, the DDNS server will automatically adjust your address to make sure that remote access is always available. 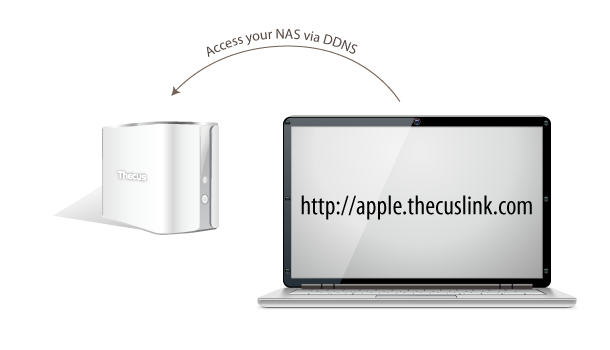 In short, DDNS provides convenient remote access to your Thecus NAS possible by utilizing domain names instead of IP digits. The Web Disk module is an excellent way to access the files on your NAS remotely or locally. 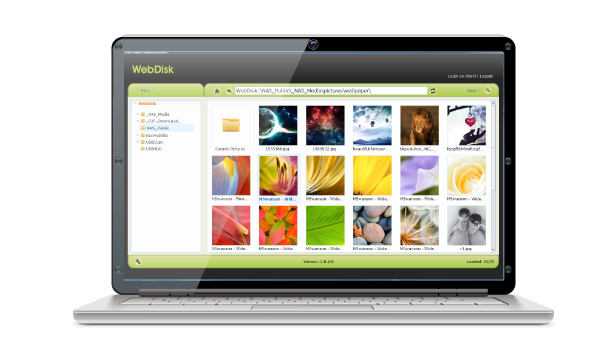 Because it works through your web browser, Web Disk is also very easy to access. Once inside, this module allows you to upload files to your NAS, download files from your NAS, and reorganize the files and folders within your NAS. Everything is done through a point-and-click user-friendly interface that gives you exactly what you need to effectively manage your files from a distance.